What happens when you mix after hours access to the Insectarium, local beers, and a fascinating expert lecturer? You get the Missoula Insectarium’s evening lecture series: “Bugs and Brews”! Every month we will have a new expert lecturer discuss a fascinating topic relating to bugs! A ticket to Bugs and Brews will get you access to explore the Insectarium, entry to the presentation and two complimentary beverages! 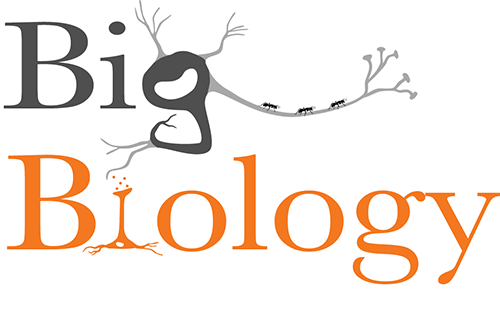 This month, join us for a live recording of Big Biology! Big Biology is a podcast that tells the stories of scientists tackling some of the biggest unanswered questions in biology. Your hosts, Marty Martin and Art Woods, talk to leading scientists from around the world about topics like why we drink alcohol, human consciousness and artificial intelligence, new directions in evolution, where diseases come from, and whether Godzilla could actually exist. Episodes present 45 minutes to an hour of in-depth but approachable conversation. Check out Big Biology here. Join us for a live-recorded conversation with Dr. John McCutcheon, professor of biology at University of Montana, about symbioses between insects and microbes – sap-feeding insects and their endosymbiotic bacteria, ambrosia beetles and their ectosymbiotic fungi, and more!